Technology companies are awfully fond of comparing their work to poetry and art. Unlike most poets and artists, though, techies seem incapable of leaving well enough alone. In fact, the industry's whole business model depends on rendering last year's model obsolete and convincing customers to fork over money for something visibly different. True, that strategy often yields worthy products--but it has also been known to prompt "upgrades" that were new but hardly improved. Let's start with an earlier Microsoft upgrade--one whose story sounds a lot like Vista's, but which took place a couple of decades earlier. The product: Before the vast majority of the world's computer users ran Microsoft Windows, they used the company's MS-DOS, the operating system that Microsoft famously based on a product it had bought from a small Seattle software company for $75,000. The bad things: Like many a lousy update, DOS 4.0--which shipped first in a version from IBM for its PCs--sounded impressive on paper (scroll to page 1 of this link for the story): It broke the 640KB memory limitation, could access hard disks larger than 32MB (woo-hoo! ), and added a simple menu-based interface with mouse support. But it was incompatible with many well-known programs and was buggy as all get-out--and some of the bugs produced nasty side effects, such as a tendency to destroy users' data. The aftermath: By the time Microsoft released a version of the OS for non-IBM PCs, the product's version name had advanced to DOS 4.01, and most of the original kinks had been ironed out. But the damage to DOS 4.0's reputation seemed to be irreparable: Competitor DR-DOS went straight to version 5.0 just to avoid any malodorous associations. DOS finally got back on track in 1991, when Microsoft released version 5.0--which was a perfectly pleasing product except for this promotional video. 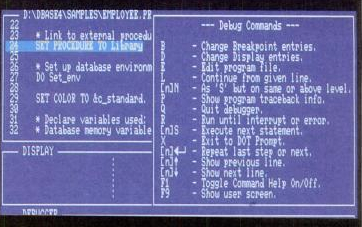 The product: In the 1980s, the database universe revolved around Ashton-Tate's dBase. The package inspired a bevy of add-ons and clones; countless companies dedicated themselves to performing dBase development and consulting. 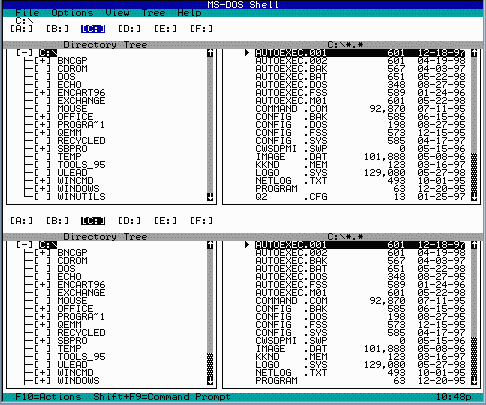 The bad things: In 1988, Ashton-Tate released dBase IV (scroll to page 69 of this link for the story), the successor to dBase III Plus. Like many a major upgrade, the new version was sluggish and buggy. On top of those problems, it lacked one key feature dBase devotees craved: the ability to compile stand-alone applications that could run without a copy of dBase installed. Nor did Ashton-Tate dseem particularly interested in improving the product. Two agonizing years limped by before the company found time in its busy schedule to release dBase IV 1.1. The aftermath: Despite its dominance, dBase faced serious competition: products such as FoxBase and Clipper not only were dBase compatible, but also nimbly stepped in to offer the features that Ashton-Tate had failed to offer. Users defected to them in droves. Though dBase didn't vanish--actually, it's still for sale--its market share cratered. In 1991, Ashton-Tate gave up and sold out to Borland; that company that couldn't figure out how to reverse dBase's fortunes either. 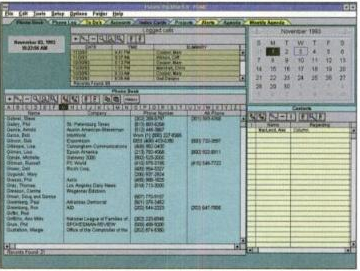 The product: Back in the late 1980s and early 1990s, if you used a PC to stay organized, there's a good chance that you used Polaris Software's PackRat, a popular and powerful personal information manager (PIM) that was the first such product to run in Windows (scroll to page 76). The bad things: When PackRat 5.0 shipped, InfoWorld noticed some bugs ("we crashed") but still pronounced it a winner in the magazine's roundup of PIMs (scroll to pages 72-73). PackRat customers, however, were less tolerant. Many deemed the application unusable, and members on the company's CompuServe forums seethed with anger ("your senior managers are crooks"). Polaris's president claimed that only 20 to 30 unhappy campers were responsible for the online hatefest. But ultimately the company was forced to admit that it had shipped a product that wasn't ready for prime time. The aftermath: Polaris moved remarkably slowly to patch up PackRat's holes, and the company's once-loyal customer base proved unforgiving. The software's market share fell from 27 percent in 1993 to less than 10 percent in 1994. Mass layoffs ensued, a merger with telephony company Octus fell through, and Polaris and PackRat faded into obscurity--except as a sobering object lesson for the rest of the software industry.